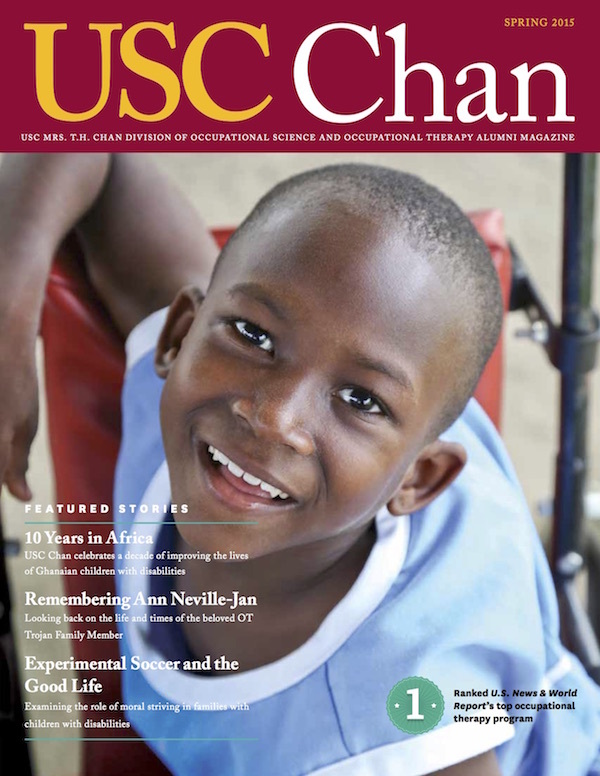 10 Years in Africa: 2015 marks the 10th anniversary of the leadership externship that has taken more than 200 USC Chan students to Africa’s West Coast. Ann the Adventurer: A retrospective on the life and times of Ann Neville-Jan, USC Chan Associate Professor and Associate Chair of Curriculum and Faculty, who passed away Feb. 1, 2015. Experimental Soccer and the Good Life: In a blog from her new textbook, Moral Laboratories: Family Peril and the Struggle for a Good Life, USC Chan Professor Cheryl Mattingly explores suffering and moral striving.